The advantages of ArilSystem for Pomegranate Aril Separation are many and significant, since no other method of accessing the pomegranate comes close to it for speed, efficiency, hygiene and quality. Constantly developing and improving its products, Juran has produced 4 upgraded models of the ArilSystem™ bringing output up to as much as 56 fruits per minute. Here are some of ArilSystem’s main advantages. Efficient – Traditionally, an experienced worker peels and extracts the seeds of 25kg. of pomegranates in an 8 hour shift. About 20% of each pomegranate’s arils are damaged in the process. Now, ArilSystem works at 90-95% efficiency – only 2-5% of the arils are damaged while peeling and extracting the seeds of 250kg pomegranates per hour! (or up to 600kg of pomegranates per hour, depending on the ArilSystem model and size of fruit). Hygienic – Arils are washed and untouched by human hands, giving them an extended shelf-life. Far Tastier – Consumers seeking to boost their health by buying and drinking pomegranate juice have until now been rewarded with a rather bitter taste. This is due to the tannins in the pomegranate membranes. ArilSystem separates out all other fruit parts so that beverages are produced from a clean batch of juicy arils alone. This greatly improves the flavor of the pomegranate juice making it highly enjoyable, while wine produced from ArilSystem extracted seeds is a rare treat. 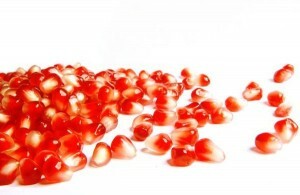 More Profitable -Pomegranate products have traditionally been labor intensive, involving fruit damage and waste, and therefore costly to produce, while the resulting product was bitter and had a relatively short shelf life.ArilSystem enables a highly accelerated production rate with minimal labor, making it far more cost effective. The resulting product is high quality, hygienic, with excellent taste and longer shelf life, and fetches an attractive market price. The bottom line is ArilSystem is today’s best pomegranate seed extractor. Whith ArilSystem pomegranate separator you get fast ROI and pomegranate products that are cost effectively produced for a wide range of markets, from fresh-cut to pharmaceutical, beverages to cosmetics.